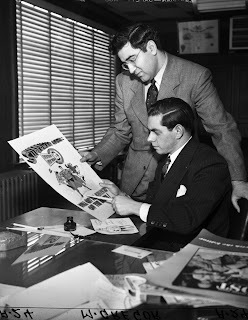 Funnyman is a largely forgotten strip created by Jerry Siegel and Joe Shuster, the creators of Superman. Originally intended to be the next big thing in comic books and designed to pick up the mantle from Superman and show DC Comics what they’d missed, the strip itself lasted just over a year before it folded. The strip also spawned a line of comics, but, sadly, that didn’t last long either and Funnyman never became the highly sought after hit that Siegel and Shuster desired. Lightning struck once for the duo, and in their attempts to recreate the blast, they fell somewhat short.